Notes: The cemetery is located outside of Philadelphia across from the Mount Jacob Cemetery. Office hours are from 8:00 - 3:00, Monday - Friday. However gate access is 24h. Mount Lebanon does not keep computerize records but one of the Groundskeepers will point you in the right direction. 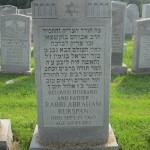 Rabbi Bukspan was the representative for variuos charity organizations of Israel in Philadelphia. 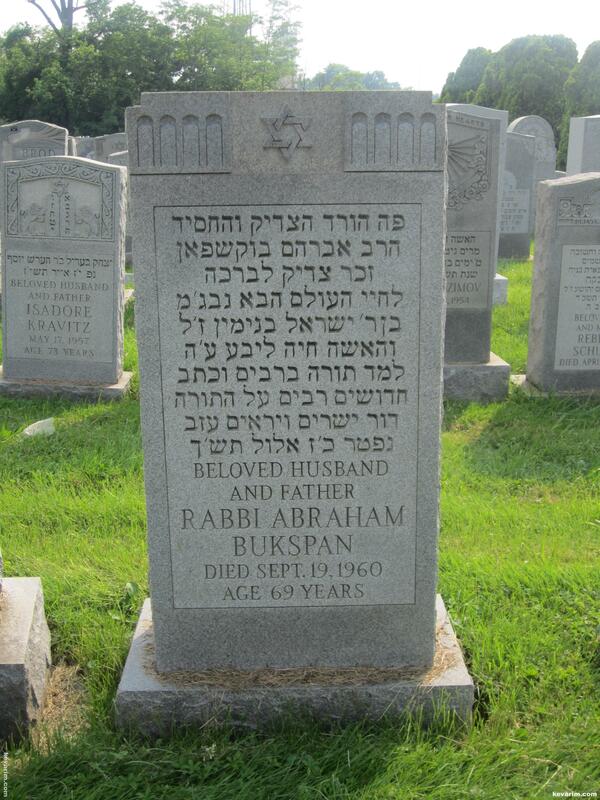 my paternal grandfather rabbi avraham bukspan was as well the head of the chevra shas in phily. after coming to eretz yisroel from chelm (yes, that city) he, as a bochur was a melamed in the chai olam yeshiva in yerushalayim. Rabbi Simcha Zisel Brody (late rosh yeshiva of chevron) told me that he was a talmid in his class. There of course is so much more to say.